Prepare to be enchanted by the new Feminine Cotton range from Playtex and its little basic T-shirts. The embroidered white cotton camisole with fine straps is a celebration of style and comfort. This timeless piece of lingerie is specially designed for women looking for freedom of movement. This fitted design in soft stretch cotton will hug your curves delightfully. It's so discreet that you can wear it under any outfit. This charming little strappy tank top is a real mix of modernity, wellbeing and refinement. 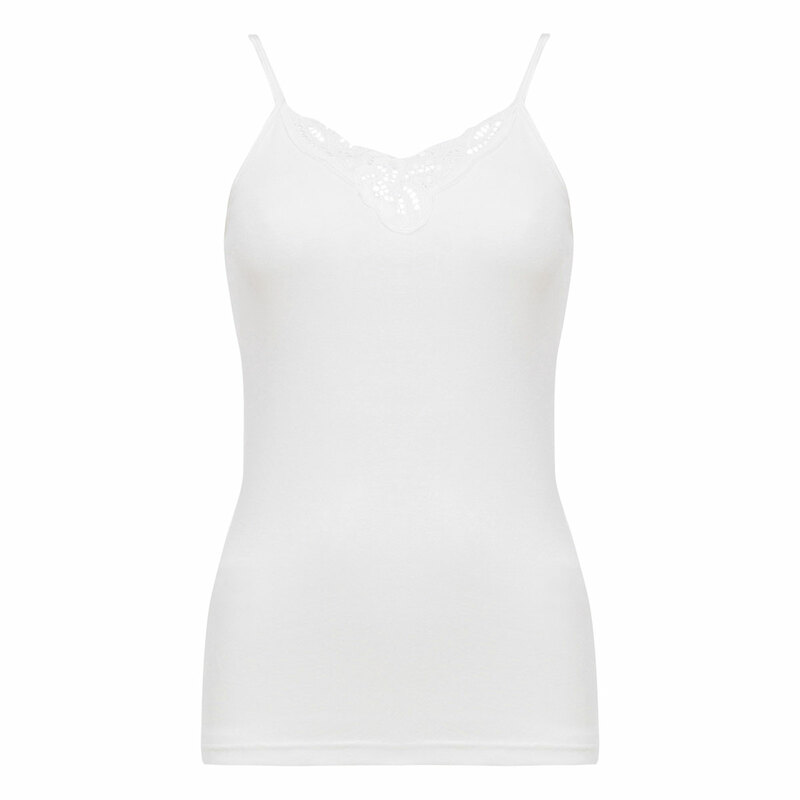 Part of the bold Cotton Feminine collection, this white embroidered camisole is designed for everyday wear. This feminine tank top goes beautifully with a white Midi brief from the Cotton or Cotton & Lace collections. Mix it up by wearing the top with black Mini briefs, for example.